McDonald’s franchisees surveyed by Credit Suisse say the new “1, 2, 3 Dollar Menu” isn’t living up to expectations. The bank has cut its target price and same store sales outlook for the chain. 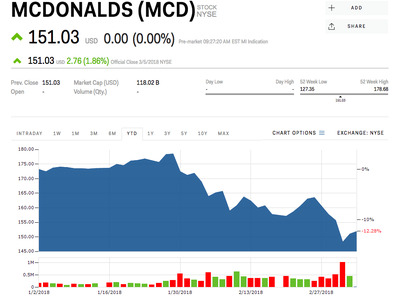 Shares of McDonald’s are down 13% so far in 2018. 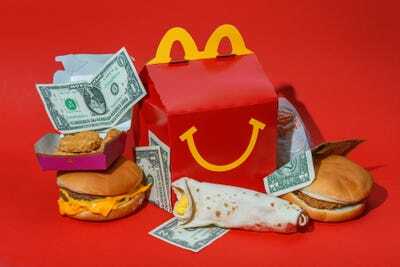 McDonald’s brought back its dollar menu – or at least, a version of it – to much fanfare in January, but more than two months in, franchisees say the new iteration isn’t helping to grow sales at the fast food chain. 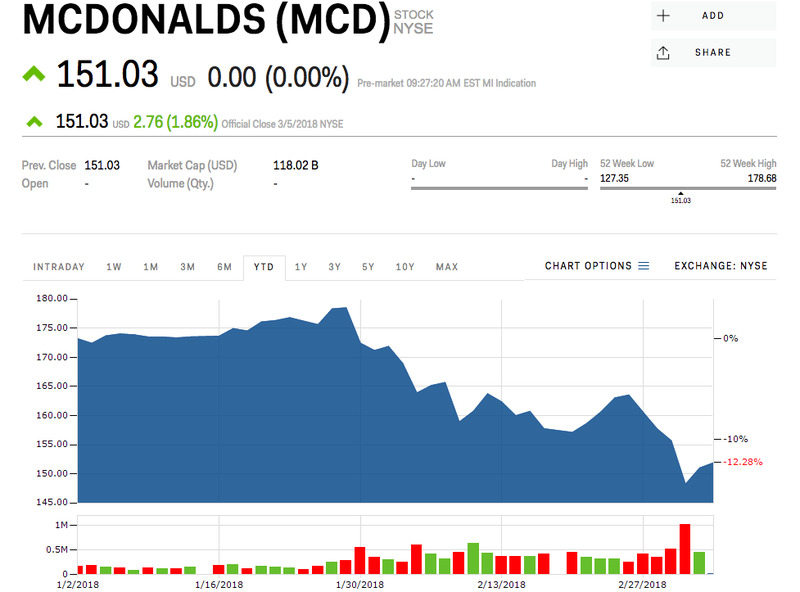 “MCD franchisees consistently reported that sales have slowed so far this year,” Credit Suisse said of its check-ins with McDonald’s operators around the country. “Why have sales slowed? : Franchisees cited three key reasons for sales slowdown versus Q4: 1) The new 1 2, 3 Dollar Menu has not performed up to expectations, 2) the Big Mac trio promotion has not been as impactful this year, and 3) winter weather has been more of a drag on sales this year than last year,” analyst Jason West said in a note to clients Tuesday. The slowdown has lead Credit Suisse to lower its target price for the stock to $US175 from $US191 – still 13% above where the stock is set to open Tuesday, but well below Wall Street’s average target of $US187, according to Bloomberg. On its most recent earnings report in January, which did not include the revamped Dollar Menu, McDonald’s reported an 11% slowdown in sales, but still managed to beat expectations by 2%. Credit Suisse has also lowered its same-store sales growth expectations for the first quarter of 2018 to just 1.5% from 3.5%, much lower than Wall Street’s consensus expectations of 3.6%. “While these checks are anecdotal, they have been directionally helpful in the past,” the bank wrote of its conversations with franchisees. “We remain optimistic that sales can improve in coming quarters due to less weather impact going forward (hopefully), improved traction as the new 1, 2, 3 value menu gains awareness, and roll-off of the Big Mac trio promotion (starting in March) which made for a tough compare in 1Q. McDonald’s is rolling out burgers made with fresh – not frozen – beef across the US, the company announced Tuesday, which could also help with its struggling sales. The stock is down 12.8% since the beginning of the year.